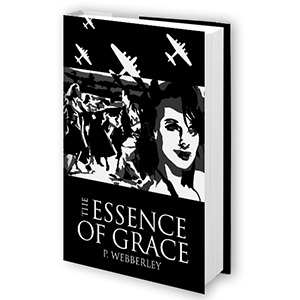 The Essence of Grace is a historical novel about a modern dancing troupe who play music while showcasing, displaying and teaching at dance gigs for the more mature audiences, following the popularity of dancing on TV. While at one venue, they realise that the audience is mostly young, many dressed in uniforms with the females sporting 30s-40s styles. For a short while, the troupe thinks that they are at a special WW2 re-enactment ball and adjust the music and dancing accordingly, but they soon realise that by some quirk, they are actually back in 1944. The Essence of Grace combines historical fact with fantasy in an enthralling account of dance and romance.